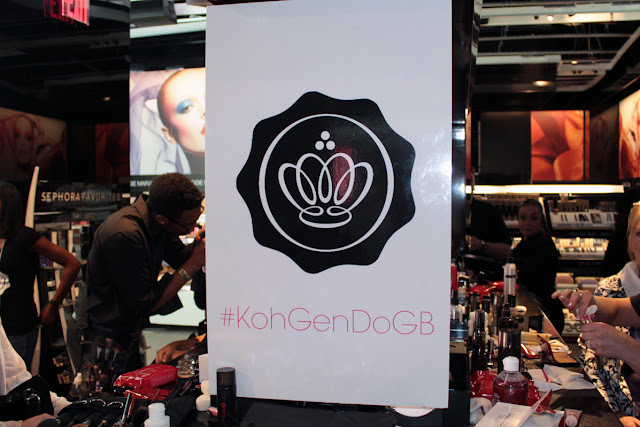 Maryam Maquillage: It's a Glossy Event with Koh Gen Do! It's a Glossy Event with Koh Gen Do! Salut mes amis :)) Hope your Sunday was a Fun-Day!! 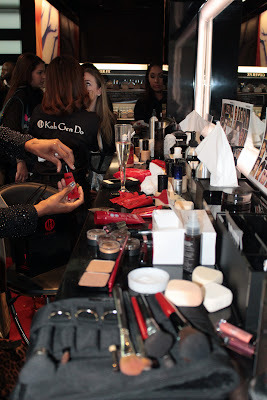 Last Friday, I had the opportunity to wind down and have some fun of my own at a Koh Gen Do launch party hosted by Glossybox at Sephora Times Square. 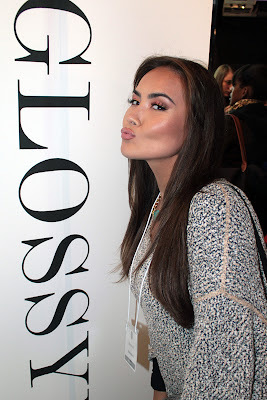 I love to celebrate, socialize, and am a huge fan of both brands, so this event was totally my thang! What could be better than sippin' on champagne, munchin' on cupcakes, trying on & talkin' makeup, plus taking home a glossy box full of goodies? For a beauty blogger, there truly is nothing better. This party was a total blast filled with amazing energy and people, and today, I'm showing you a snippet! ABOUT: Koh Gen Do is a Japanese cosmetics line that features High Definition makeup widely used for film and TV, as well as pure botanical skincare, body care, tools, and much more. Koh Gen Do Spa Water, a popular cleansing product, was featured in last month's Glossybox and I've been hooked ever since! The line is now available at Sephora and I couldn't be more excited! The makeovers were provided by Koh Gen Do's team of specialists and were enjoyed by fellow bloggers and guests. I took a pass on the makeover, but I didn't pass up the cupcakes nor the glass of Prosecco! Cheers! 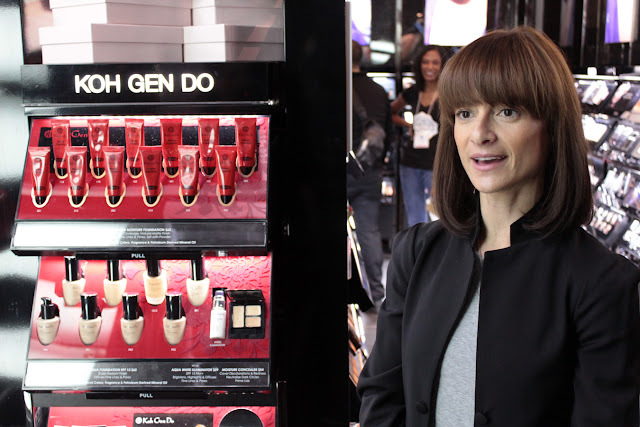 Celebrity makeup artist Dawn DiSantis was a total sweetheart and gave a terrific presentation of Koh Gen Do's product line. I really loved learning about the Maifanshi Color Bases and the incredible High Definition foundations. Unfamiliar products can be a bit intimidating at first, but Dawn was such a pro at explaining the functions and simplifying all the meticulous details. I <3 Glossybox and I'm not afraid to show it! 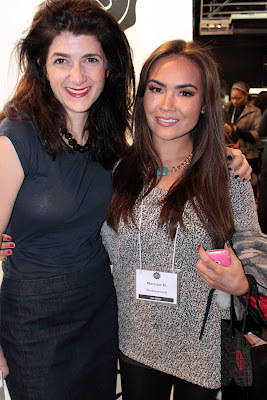 I also <3 Susan Naci, Glossybox's gorgeous CEO! Inside the Koh Gen Do goody bag: a Glossybox!! Inside the Limited Edition Glossybox: Koh Gen Do samples! If you're feeling bummed about missing this event or if you don't live in NYC, I have good news for you! Glossybox has teamed up with AmorePacific and The Setai to host an incredible NYC Spa Luxe Giveaway complete with airfare and stay at the luxurious Setai Fifth Avenue! Enter here for your chance to win a weekend spa getaway to New York City!!! it's in the works :) thanks love! you are so sweet!! I heart you!! omg this event was so cool!!! You look beautiful as always! 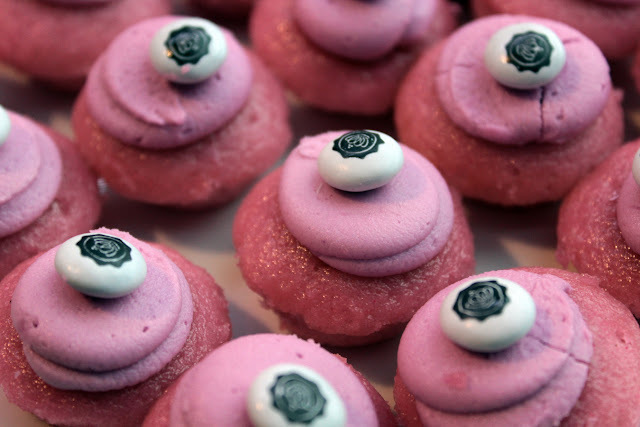 Cupcakes and makeup and wine... Oh my! That sounds like a good time to me! It all looks so pretty! Enjoyed the party. You look too good there. 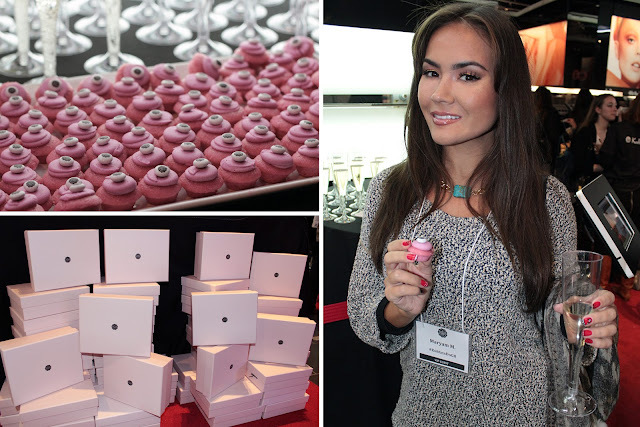 Looked like a fun event - those cupcakes look yummy and girl, you looked stunning! Looks so fun & u look so gorgeous!!!! Get Your Rhyme & Reason! October News & Past Faves!